Last week I wrote a post on my favourite places to eat in Cardiff. I’ve split it into two posts, the Independents and the Chains, altho I have fairly loose rules for what constitutes a chain! This week it’s the turn of the chains – there are plenty in Cardiff to choose from, but some are definitely better than others. *I say chain, I mean “has at least one other location outside of Cardiff, usually more. Oh, Wahaca. You only moved in recently but your sweet potato taquitos have totally stolen my heart. 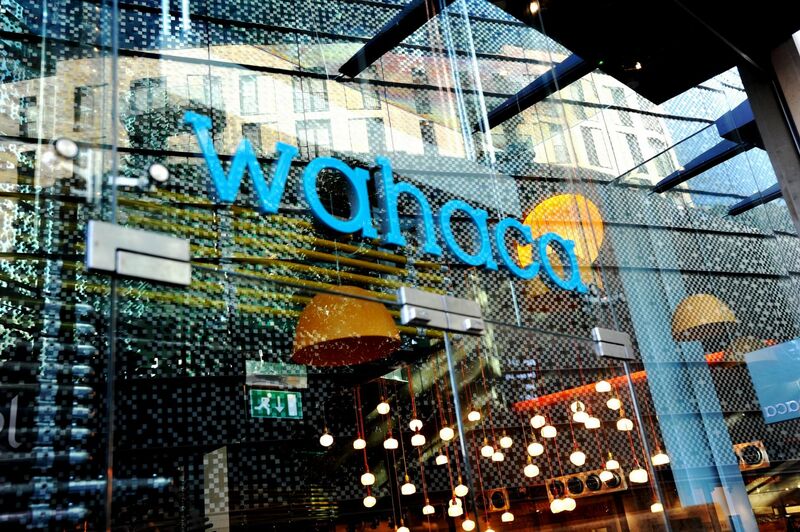 Their first location outside London, the Cardiff branch of Wahaca is beautiful inside and out and is a great addition to the city centre (if you like Mexican food). Bonus points for the Gluten Free menu they have and the totally amazing hibiscus water. I know some people who find Bill’s a bit hit and miss and while I can understand that I normally enjoy myself, so it’s going on the list. They’re not so great if you’re going for a GF diet – some of their staff are more knowledgeable than others and their hollandaise sauce inexplicably contains wheat – but the majority of their food is solid, tasty fair. Ignore their breakfasts and go for lunch or dinner, your stomach will thank you. I am so happy that Cardiff finally has a city centre burrito place, you have no idea. Doubly happy that they also offer rice and salad boxes and that you can basically have as much guacamole as you can fit in the box for a nominal price. I hear their burritos are pretty good, too 😉 There’s not a huge amount of eat-in space, which makes it more of a summer eatery for me (burritos are way too messy to eat on the go), but otherwise two thumbs up for Mission Burrito. Nom. Cosy Club is another Cardiff chain that has a great Gluten Free menu – hurrah! They’re sometimes a little slow with service, but the food is worth the wait, I promise. They also have an amazing cocktails menu if you’re into that kind of thing (I am 100% into that kind of thing, fyi). The menu changes fairly regularly and there’s a great selection of tapas, so if you’re a fan of the small dish revolution that seems to be happening everywhere these days then Cosy Club is a good one to check out. Last but by no means least, we have Bangkok Cafe – purveyors of the best Thai food in Cardiff (in my opinion at least). Technically they were chain since they also used to have a restaurant in Swansea, but not really a chain chain, if you get what I mean, especially since that venue has now apparently closed. (Sad times for Swansea residents. Move to Cardiff, kids). I love the food at Bangkok Cafe – it’s fresh, vibrant and pretty reasonably priced. It can be a little on the spicy side so be careful what you order if spice isn’t your thing (it’s not mine either, don’t worry). Fret not tho, there are plenty of things on the menu for non-spice lovers, I urge you to check it out. & maybe take me with you? Thx.